From April to October, cities, towns and villages all hold local sagras or country fairs in Italy. Typically the fairs last about a week, and give each community the opportunity to show off their local produce. The fairs are a great place to sample food and wine, and often feature live bands and dancing. In the Vicenza area there are well over a thousand country fairs which take place in the warm season, some big and some small. 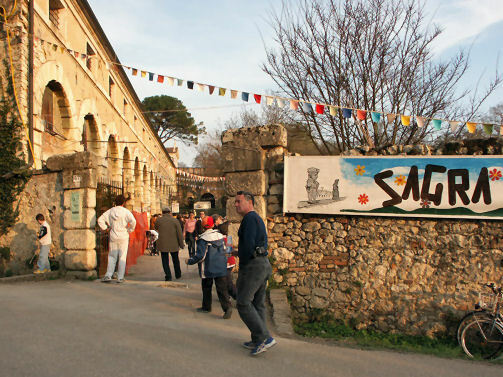 The Fiera del Soco in Grisigano (10 minutes from Vicenza) is held each September and spans an area of 4 square kilometers. The stands are endless, and vendors have nearly everything you could imagine, and even things you couldn't imagine too! Other fairs like the Sagra dei Nani pictured here are much smaller, but just as much fun, and a great place to meet people.